Rwanda has set its sights on becoming the information and communications technology hub of central Africa. A boom in infrastructure development is paving the way for this ambitious goal. Now, the country needs to modernize its education system to produce the talent that this new technology-heavy economy will demand. EDC’s USAID-funded Literacy, Language, and Learning Initiative (L3) was a critical partner in the effort to usher in reforms across the education spectrum. Working with Rwanda’s Ministry of Education, L3 improved student achievement in reading and mathematics, engaged communities in supporting literacy, and increased access to appropriate teaching and learning materials. 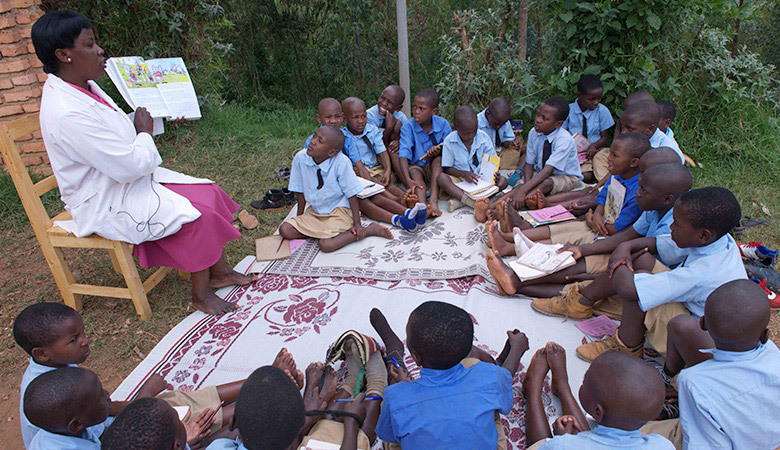 This executive report summarizes the activities of the project, recommendations and lessons learned of the Literacy, Language, and Learning (L3) Initiative, a five-year project funded by the U.S. Agency for International Development and implemented in Rwanda between August 2011 and January 2017. L3’s strategic objective was to strengthen teaching and learning, so that children leave primary school with solid literacy and numeracy skills.